Most of the rings in the shop can be adjusted or made to order in your size. 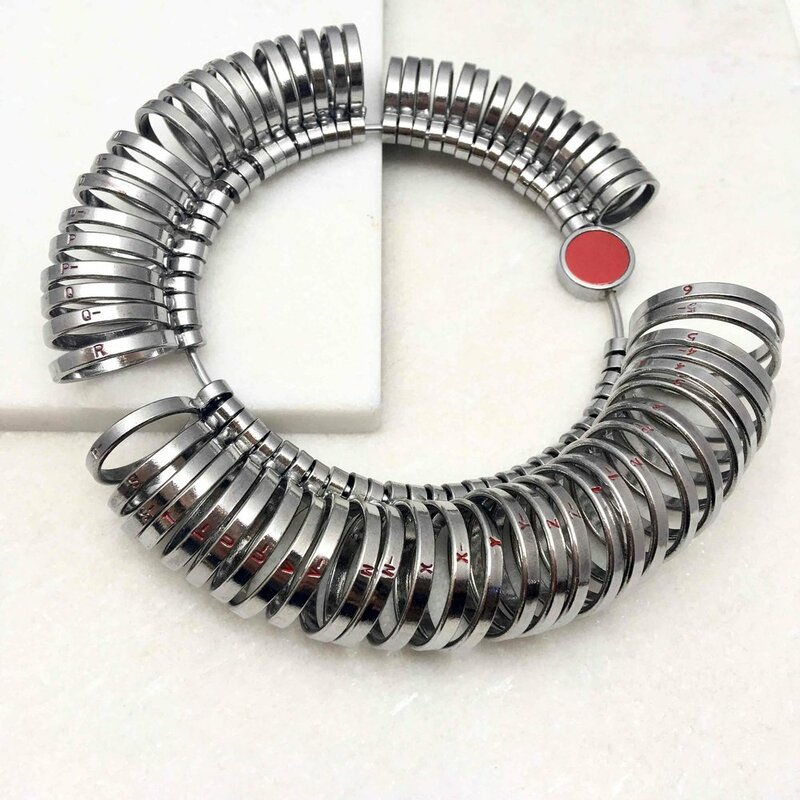 If you do not know your ring size, and are unable to visit the studio for a consultation, ring sizers are available to buy below. Images above show how to measure your hand and wrist for approximate bangle & bracelet sizes. The best method is to measure your existing bangles & bracelets that you know fit. Contact us for help. Standard chain lengths are available to order when adding necklaces to you basket and specific length curb chains can be made to order - just ask!